The Reserve Bank on Thursday said its surplus (profit) for the FY'14 fiscal declined 14.75 per cent to Rs 52,679 crore (Rs 526.79 billion) as its interest income from investments in foreign sovereign bonds declined during the year even as its investments increased. "The year ended with an overall surplus of Rs 52,679 crore, representing a decrease of 14.75 per cent over the previous year," the RBI said in its annual report for the FY14 fiscal. The central bank follows a July-June fiscal calendar. However, the central bank transferred the entire surplus to the government, making it the largest ever transfer by it. The RBI's balance sheet size rose 10 per cent to Rs 26,24,400 crore (Rs 26.24 trillion) from Rs 23,90,700 crore (Rs 23.90 trillion) in the same period last year. The increase in the asset side was driven mainly by expansion in the foreign currency assets (FCAs), impact of depreciation of the dollar against other major currencies in which the RBI's FCAs are held and depreciation of the rupee against the greenback adjusted for fall in the value of gold reserves on the asset side. During the year, there was massive fall in the gold value held by RBI, though there was no change in the volume. 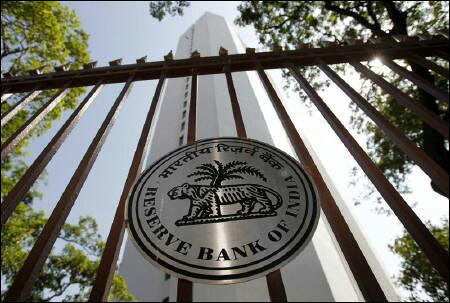 The RBI holds 557.75 tonnes valued at Rs 1,24,002 crore (Rs 1.24 trillion) against Rs 1,28,685 crore (Rs 1.28 trillion). The increase in the liability side was on account of a rise in currency in circulation and accretion of the currency and gold revaluation account (CGRA), the RBI said. At the end of the year, the domestic assets constituted 33 per cent of total assets, while foreign assets constituted the remaining 67 per cent as against 36.2 per cent and 63.8 per cent, respectively as on June 30, 2013. During the year, the RBI's gross income decreased by 13.10 per cent to Rs 64,617 crore (Rs 646.17 billion). Similarly, its total expenditure fell 4.9 per cent to Rs 11,934 crore (Rs 119.34 billion) from Rs 12,549 crore (Rs 125.49 billion) in the year-ago period.